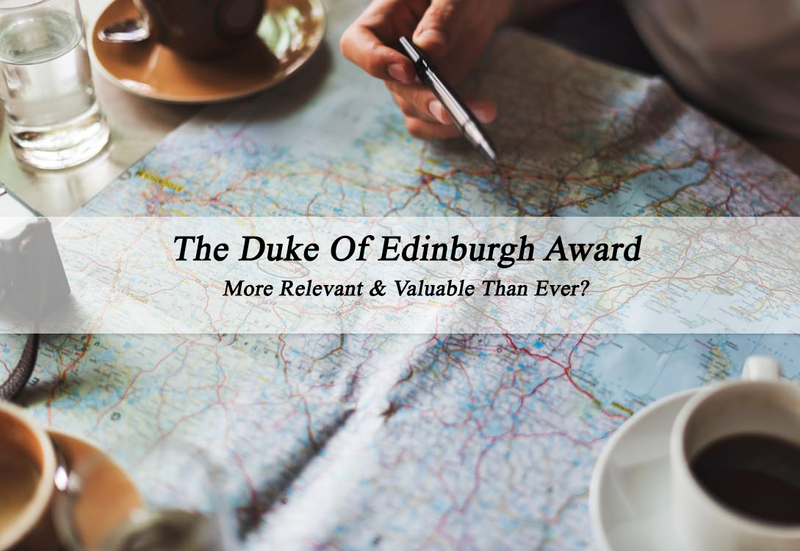 Since its inception in 1956, The Duke of Edinburgh award, has evolved beyond recognition, and is more relevant today than ever before, allowing young people to gain a respected qualification that speaks volumes for their character. The Duke of Edinburgh award is aimed at the 14-24 year old age group, but it is very widely encouraged amongst the youngest of that group who are in secondary school. The path to adulthood is not always as easy as we might like, and it is essential to gain official qualifications, to enable young people to get the start in life we want them to have, and to give them proof, at an early stage that they can discover and display skills that will propel them forwards. The Duke of Edinburgh Award was originally designed to be an award based upon Public Services, fitness and outdoor pursuits and quickly gained respect for the quality of its content and the skills and qualities that it imparted upon the young people who undertook the qualification. It is still, at its heart, a qualification built on teamwork and character building, but now includes practical life skills, social skills, even I.T and other interests. Parents themselves also have a wealth of options to undertake online training courses now and some very well prepared parents are finding work skill related courses or courses that benefit University, GCSEs and Sixth Form. In order to both improve their own employ-ability chances and support their children to gain their Duke of Edinburgh awards. Parents are choosing to opt for typing courses, Microsoft Excel, PowerPoint and Word courses in order to enable their children to gain a skill to ahead on coursework, essays and presentations at schools. However, they are also aware that schools often do not teach these skills with direct relationship how they are used in the workplace. These skills gained at an early age are invaluable, giving young people a real edge when it comes to preparing homework, assignments, even college and university applications. Ideally find recognised courses that are accredited by institutes such as the CPD certification service (Continued Professional Development). One mother actually stated that she knew from her own experience how important these skills are for gaining a first job and how even well qualified graduates often lacked these skills from their education. Therefore, she decided to give her kids a step up in their future. This is wise foresight and children will be grateful for this advantage in their schoolwork, university and further. If you would like to find out about your child taking online training courses that will develop their practical skills for life, in education and work, please go to Souters Training for young people. Overall, it makes real sense to gain these skills for life and work in the future, and institutions such as The Duke of Edinburgh Award, and Continuous Personal Development courses offer real value for money opportunities for young people and parents alike to gain official recognition for the skills they already have, and learn new, valuable skills that will serve them well in the future. I remember completing part of my Duke of Edinburgh bronze award when I was younger, It was a shame I couldn't complete it. I loved the experience and would recommend it to any young person. I never realised there was so much to the Duke of Edinburgh Award. I signed up for it was in was younger (but never finished it, sadly) but I always viewed it as an outdoors thing. Sounds like there's a lot more to it! I've never heard of this at all! having a read though it's good for young people to gain skills! I did my Duke of Edinburgh award at school and I think it helps children learn the discipline of having to work for something - even then it stood for determination and helped on your CV. Skills like typing and other USEFUL skills can only be an even better improvement on this system in my eyes! I wish I did the Duke of Edinburgh award whilst I was at collect but I couldn't find enough time for extra curriculum activities. I agree with there are skill that people leave education without and it's a good idea for parents to be able to teach their children those skills to prepare them for further education and work life.